A true neutral that can be paired with black, brown, white, grey, navy... the list keeps going, and these Wedge Pons Avarcas in Metallic Bronze goes with all of them. Offering a warmer hue than our metallic Pewter color, these sandals are handmade & inspired by the traditional Spanish shoe the Menorquinas. 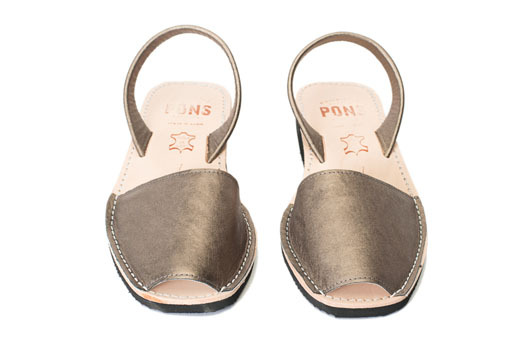 Our Pons sandals are crafted with soft high quality natural leather and have a lightweight rubber sole with a heel height of almost 2 inches.